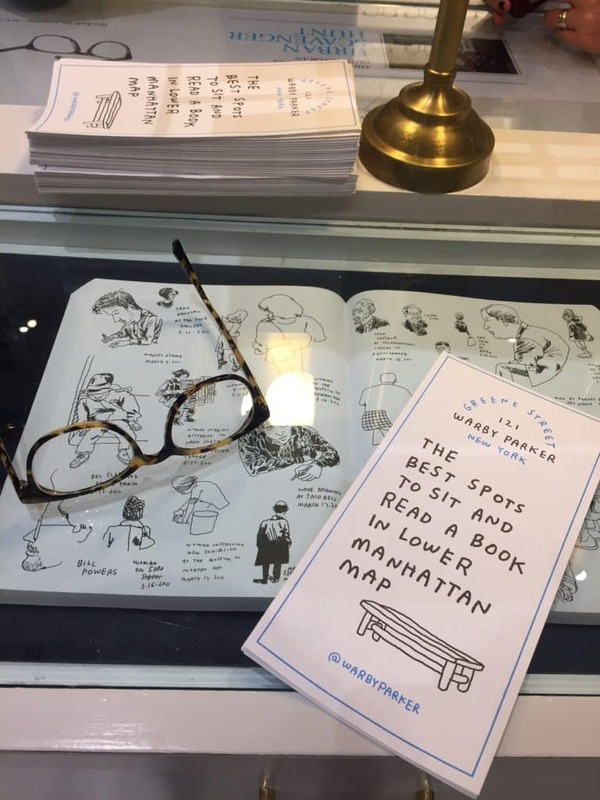 It’s day two of Code Commerce, and we were lucky enough to spend this muggy New York morning inside one of the coolest retail stores in the city, Warby Parker. At their flagship outpost in Soho, we learned how the eyewear brand began, what they’ve been doing to enhance every shopper touchpoint, and what’s on deck for the future. 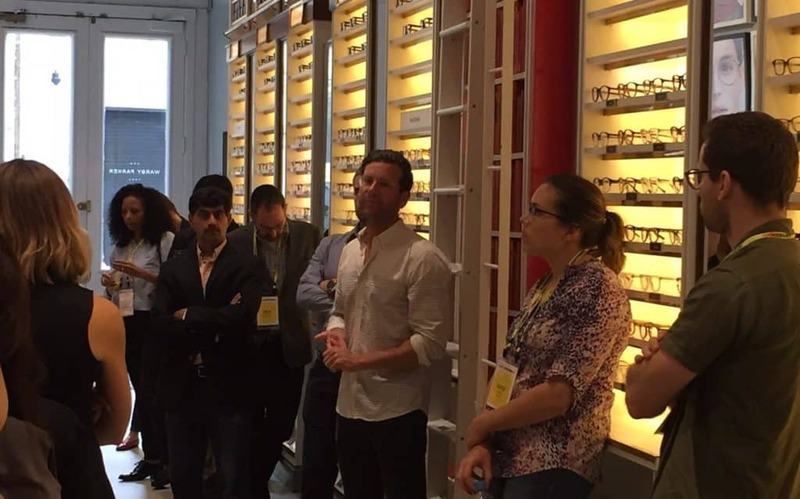 Co-founder and co-CEO Dave Gilboa spoke about how and why Warby has decided to aggressively scale its brick-and-mortar footprint, and the difference that it makes for shoppers. Here are a few highlights. Warby’s original ecommerce-only, try-at-home, one-for-one business model (where for every pair purchased, a pair is distributed to someone in need) made it a quick favorite among the hipster set when it launched in NYC seven years ago. Today, the company’s reach is far and wide, and spans from online to in-real-life (58 stores are already operating in the US, with 10 more slated to open by the end of the year). Warby has become known for providing an incredible retail experience, including on-the-spot eye exams, next-day and direct-to-door service, and inviting stores that combine local art and architecture with stylish frames. 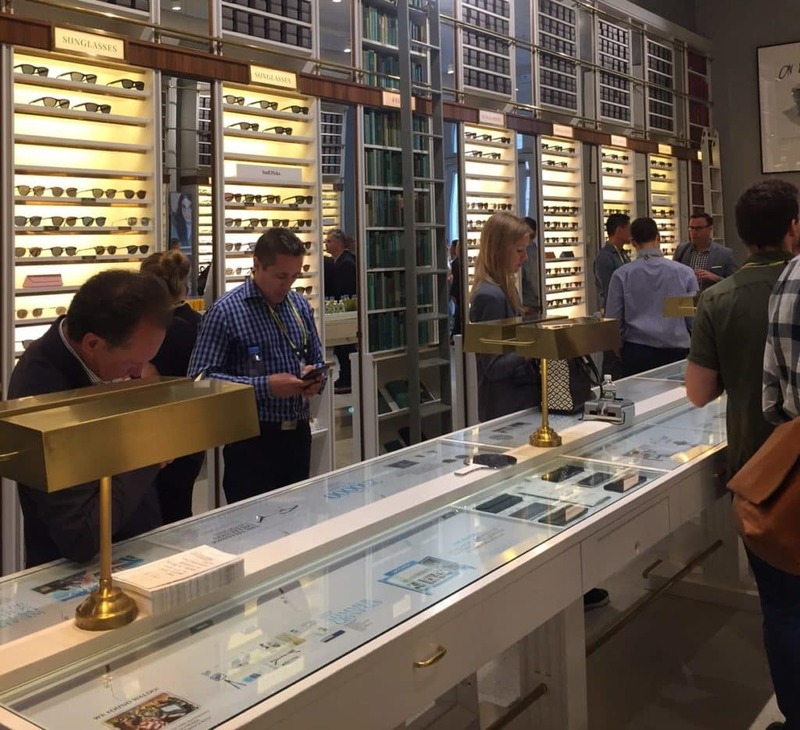 Warby stores look different than typical optical shops where frames are behind lock and key. The brand has relationships with several publishers, so books abound, creating a retro, library-like vibe where shoppers can hang out and enjoy themselves. They’ve received tremendous feedback and generated tons of brand awareness. So while over the last four years Warby’s ecommerce business has grown a lot, physical retail is still very much part of their expansion plan. On the shopper path to purchase, Gilboa described how with Warby, people might discover them from an article, check out their website, come into a store, try on a few frames, then take them home, all before buying. Connecting those dots is key to winning their business over the long haul. Gilboa believes that glasses should be viewed as a fashion accessory, so when they only cost a hundred dollars people can afford to have more fun with them, and more pairs. The entire shopping experience should be reflective of that fun and not a stressful, 700-dollar investment. Warby doesn’t pressure people to check out if they’re not ready, and wants people to come back for more frames later, so the entire shopper journey is optimized, no matter how long it lasts. When asked if Warby would be increasing prices now that the brand has taken off, Gilboa responded by saying that their commitment to customers on value was paramount. They would never want to damage that trust. Warby is trying to deliver value to customers over time, and they have no intention of increasing prices just to drive short term sales and profits. From sports merchandising to home goods marketing, we’ve had a great time looking into the future of shopping at this year’s Code Commerce. Be sure to keep an eye on our Twitter feed for where we’ll be next.